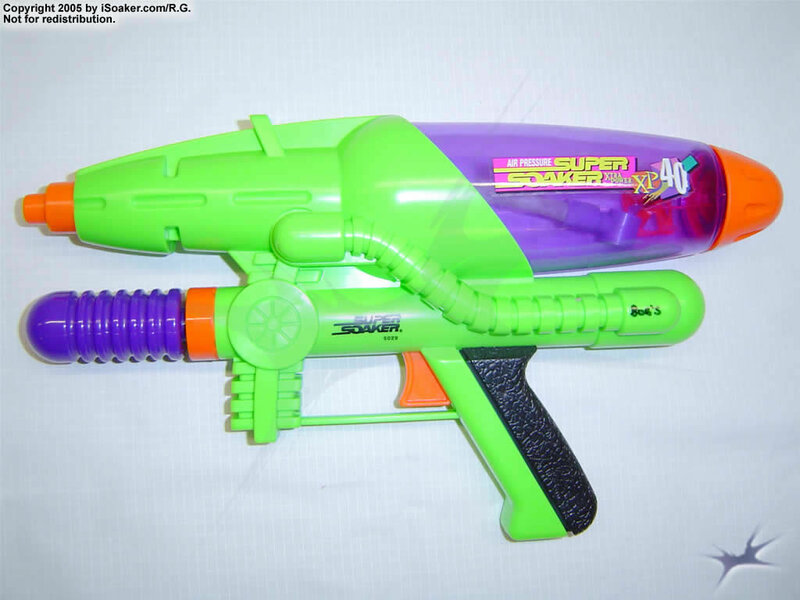 The Super Soaker XP 40 provides a decent back-up for any water fight. Its small size makes the XP 40 easy to conceal and carry. Based on the pressurized reservoir system, the XP 40 requires a little more pumping to maintain good pressure when one's water level begins to drop. Also, one cannot refill the blaster when pressurized, leaving one temporarily vulnerable when filling at an unsafe filling station. The pump stroke is also rather short and may feel a little awkward when pumping. Then again, that's the price one pays for such a small weapon. The reservoir comes with a tethered screw-cap to prevent the cap's loss. Being an XP-class weapon, the Super Soaker XP 40 still packs a good punch and will definitely out-soak most pump and shoot water blasters. However, it is not recommendable to try and take on any higher rated XPs, CPS or SC-class weapons with this alone. Small, light, easy to carry. Despite its size, it packs decent power. It also does not take too much effort to pump up the pressure chamber. Easy to fill with a nice, tethered cap and transparent water reservoir. This is a rather small weapon with limited water capacity. The XP-class nozzle is outclassed by all of the CPS-line of weapons.